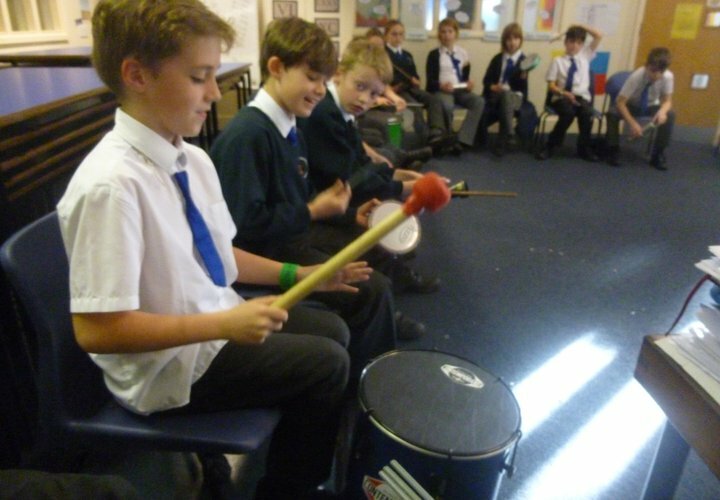 Music plays a large part of both the curriculum and enrichment opportunities here at Eastnor. 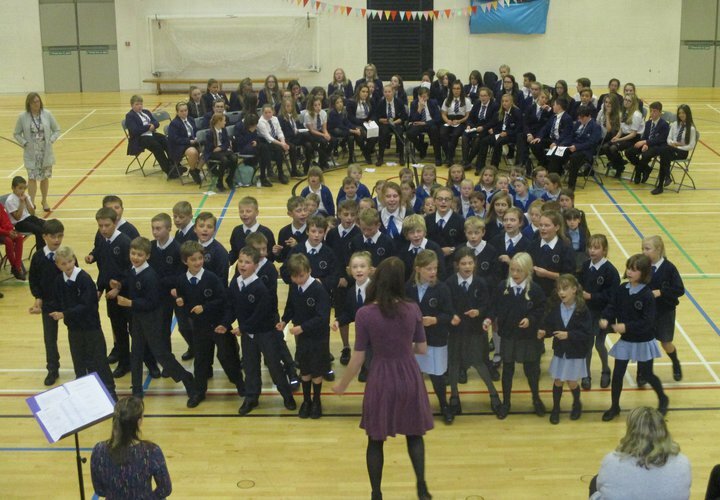 The three strands of the curriculum of singing, performing and composing are taught across all key stages and in the foundation stage, and the children are also given opportunities to perform as part of key Collective Worship and special festivals within school time, but also have the chance to perform at other events. Key Stage 2 attend the Young Voices Concert at Birmingham’s LG Arena every other year, learning songs and dances which culminate in a performance involving 5,500 pupils at the large stadium. The Key Stage 2 choir have also performed as part of the Herefordshire Performing Arts Festival every year, and have also performed within the local community at Birchams Grange Residential Home and Eastnor Castle for their Christmas celebrations. 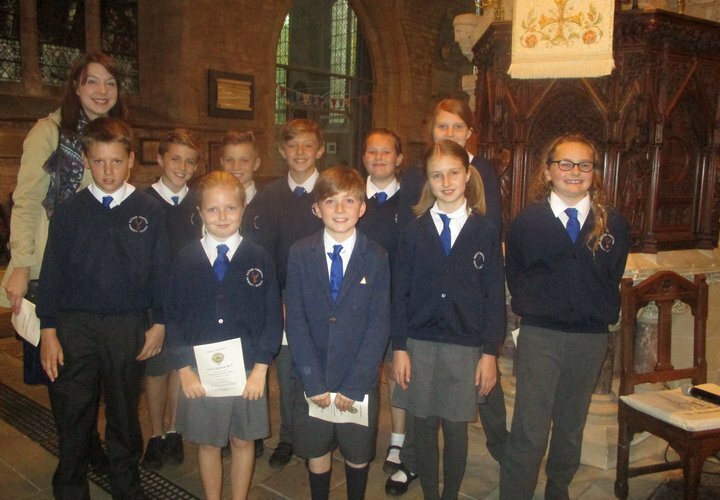 The choir have worked alongside local organisations such as ABF Music and also sang as part of a large scale concert at the Hereford Academy with other schools from the Bishop Anthony Education Trust. 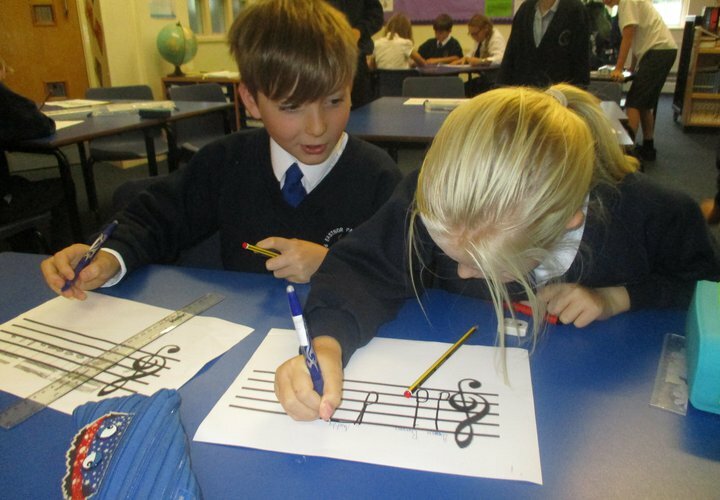 Key Stage 1 have enjoyed partaking in singing projects alongside The Music Pool and ABF Music, attending Sing Spring with other schools in the cluster at Hellens in Much Marcle. In addition, we do partake in other music projects with other community organisations. Years 5/6 have taken part in a Music and Nature workshop inspired by the composer Schubert at Hellens in Much Marcle, where children were invited to bring their own instruments to contribute to a performance for family members and organisers at the end of the day. In this context, they also got to enjoy a professional string quartet playing the music of Schubert too! Along with all of this, we enjoy peripatetic music teachers that come in to our school and teach children on a one-to-one basis or in small groups across a range of instruments. 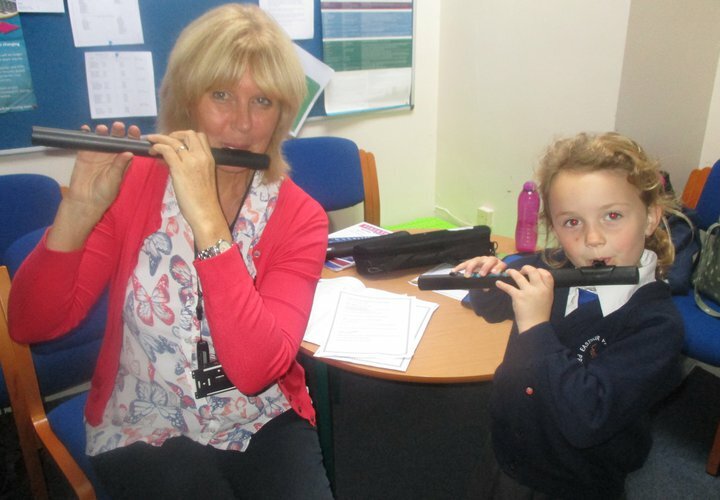 We have been very pleased to see the number of pupils partaking in learning a musical instrument on the rise. We currently have Karen Coleman teaching flute, recorder and clarinet; Josie Bedford-Davies teaching violin and piano and Dom Kearne teaching guitar. The children that learn these insturments are also encouraged to play in front of their peers in Collective Worship, which they do so eagerly and confidently, as well as the whole school learning a selection of traditional and gospel worship songs in our end of day Worship. We are very lucky with all of the performance opportunities we are granted here at Eastnor and the variety of spaces we get to work in, and the different people we meet to perform with too.